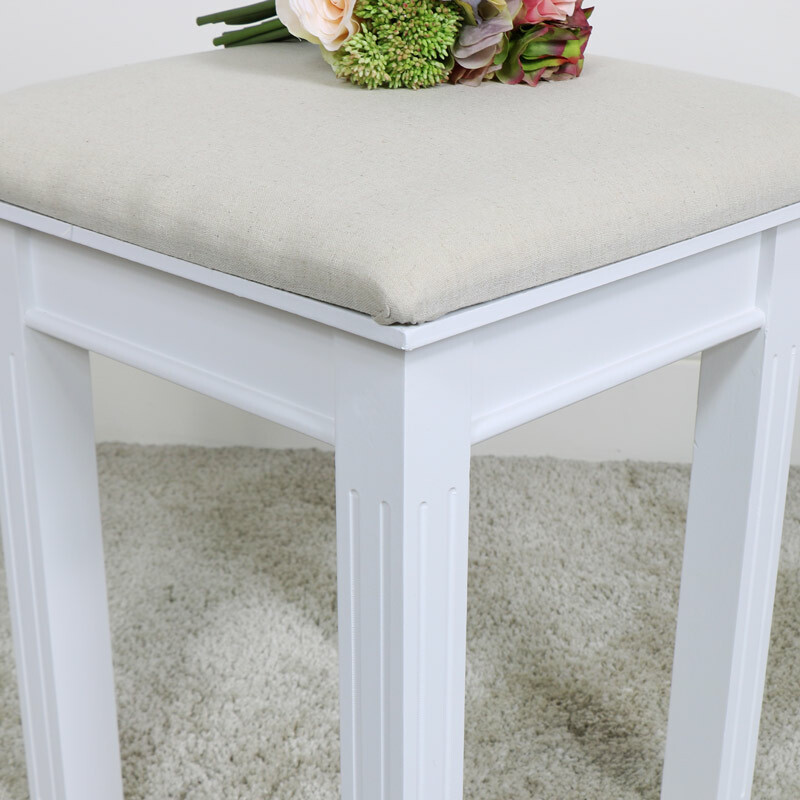 White dressing table stool with cushioned fabric seat. 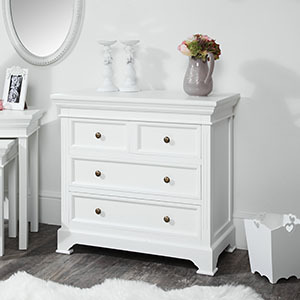 Ideal seating for traditional or modern styled bedroom, can also be used in the living room or hallway. 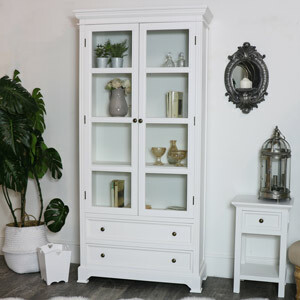 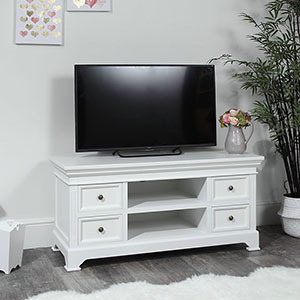 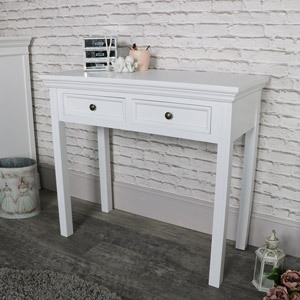 Matching furniture available in the Daventry White Range. 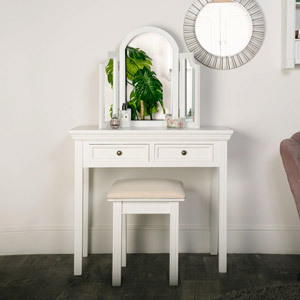 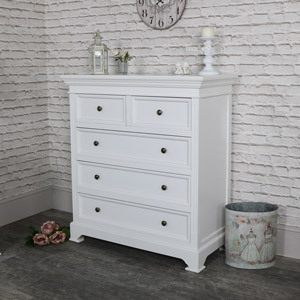 This stool will help to complete your bedroom with more matching furniture available including the dressing table, tabletop mirror, chest of drawers, wardrobe and much more. 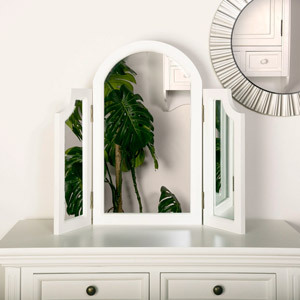 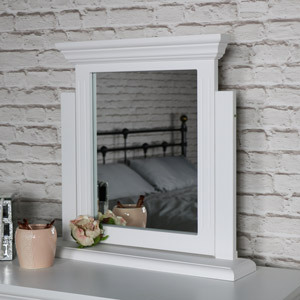 This Daventry White Range offers a neutral theme that will easily fit in with any colour scheme in a design that will suit traditional, modern and contemporary styled interiors. 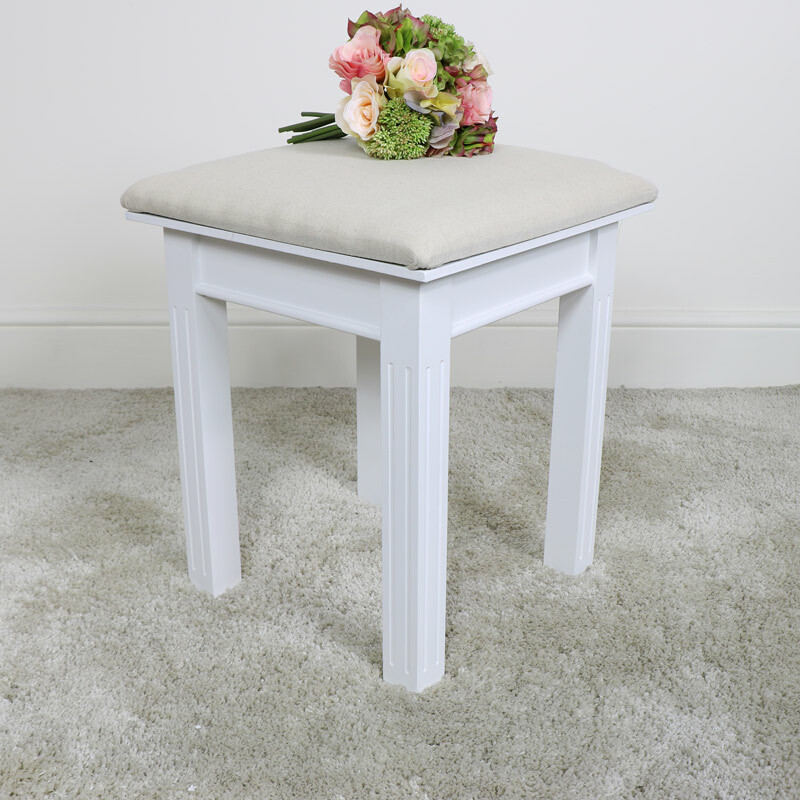 White dressing table stool with cushioned fabric seat. 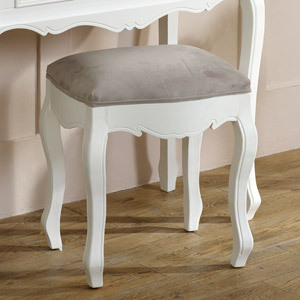 Ideal seating for traditional or modern styled bedroom, can also be used in the living room or hallway. 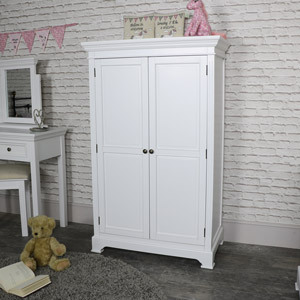 Matching furniture available in the Daventry White Range. 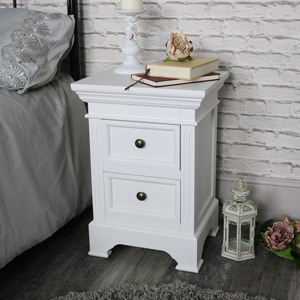 This stool will help to complete your bedroom with more matching furniture available including the dressing table, tabletop mirror, chest of drawers, wardrobe and much more. 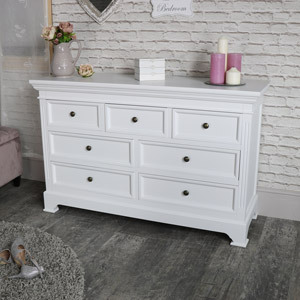 This Daventry White Range offers a neutral theme that will easily fit in with any colour scheme in a design that will suit traditional, modern and contemporary styled interiors.